It can be a challenge for a doctor to identify the type of headache you have because while these headaches have distinct characteristics, most of them overlap and make the clinical picture very gray. 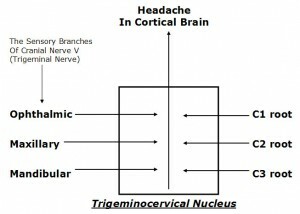 In some part, the type of headache you are having is determined by the anatomy that is generating the pain signal. 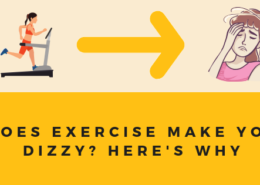 Although the pain of a headache can make it feel like your brain is going to explode, there are actually zero pain generating tissues within the brain itself. That means that something outside of the brain is transmitting a signal to the brain that something has gone wrong. I won’t go into some some of the more serious secondary causes of headache like tumors, strokes, etc, this will be more focused on primary headache. For decades, scientists have studied arteries in the brain and their role in headaches. 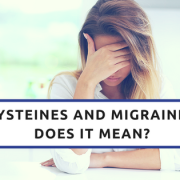 While we don’t know everything about migraines, we do know that migraine attacks tend to happen when the arteries of the brain swell and lead to inflammation of the nerves that are connected to the artery. 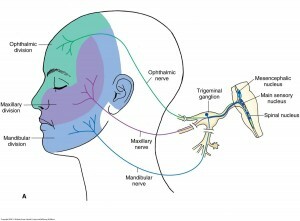 These nerve endings are transmitted to the trigeminal ganglion causing the pain portion of the headache. It’s for this reason that many of the drugs used to treat migraine are those that reduce the swelling of brain arteries. In fact, the target of new drug therapies are using antibodies to target the molecules that cause the arteries to open, and hopefully prevent the attacks from occurring to begin with. 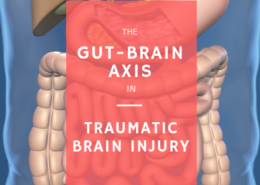 The top 3 nerves in your spine are highly linked to headaches following a head and neck injury. When someone suffers a whiplash injury or concussion, these upper cervical nerves can become irritated and generate pain across the back and top of the head. 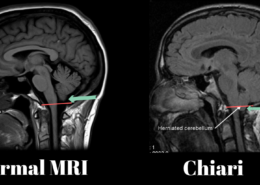 In some cases, this leads to a condition called occipital neuralgia where the nerves are chronically disturbed leading to unrelenting pain or numbness in the skull. 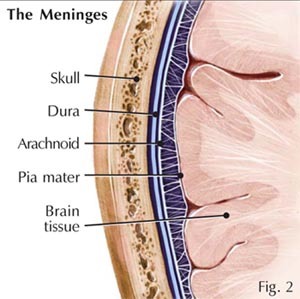 The meninges is a layer of tissue that wraps around the brain, spinal cord, and nerves. When you hear people talking about meningitis, we are referring to this outer covering becoming enflamed. One of the symptoms of meningitis can be a bad headache, and the meninges can be a cause of headache pain even without a meningitis infection. 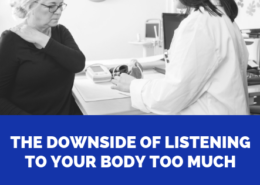 Some anatomical studies show that small muscles in the neck can connect into the meninges which may be the problem with certain types of headaches. 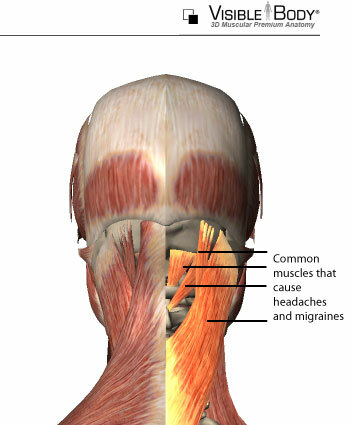 Muscles of the head and neck have been long associated with tension type headaches. While the influence of these muscles in headache were exaggerated over the years, certain muscles do play a role in head pain. Neck pain generated by muscles like the splenius capitus can generate pain that refers into the head. 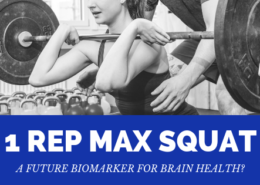 With TMJ patients, the jaw muscles like the masseter, pterygoids, and temporalis muscles can become highly contracted and become potent pain generators which is one of the reasons why jaw problems are highly associated with headache. 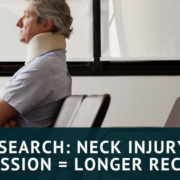 The joints of the neck play a large role in postural feedback to the brain. 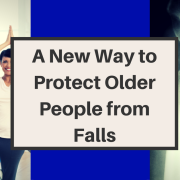 These joints are also sensitive to irritation through injury and chronic malpositioning. 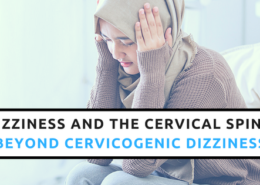 Headaches resulting from dysfunctional neck joints are known as cervicogenic headache. 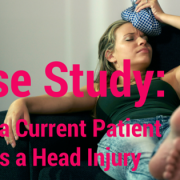 These types of headaches are hard to diagnose because they are generally classified by whether a neck treatment helps, but we do know that this is more commonly seen with whiplash and head injuries. So here’s the fun part. 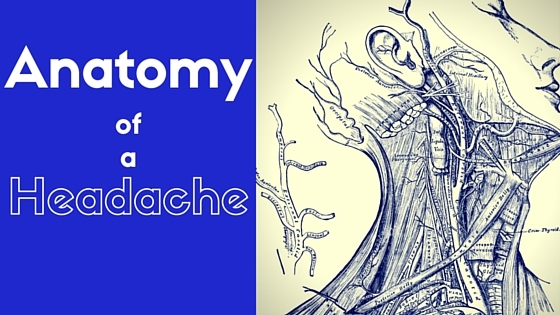 What is it about all of these different pieces of anatomy have in common besides the fact that they all cause headaches? 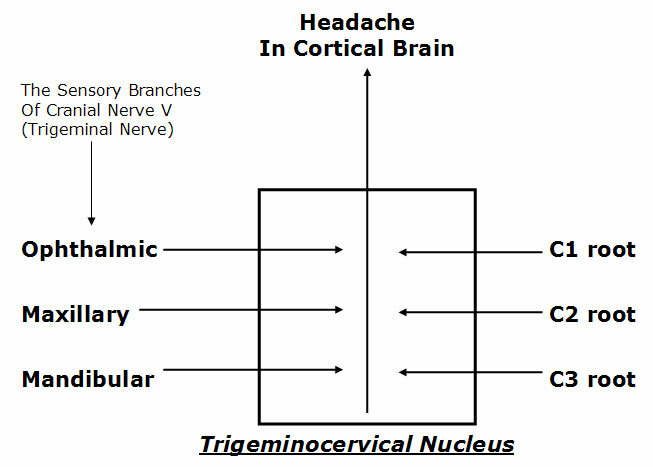 Neurologically it comes down to a bundle of nerves that make up the trigeminal complex. This particular piece of anatomy is important because it is the hub for almost all pain signals in the head and neck. Everything from the C1-C3 spinal nerves, meninges, jaw muscles, and skin of the face gets transmitted and processed by these nerves. In some cases, a chronic headache problem might possibly be a less severe form of trigeminal neuralgia. 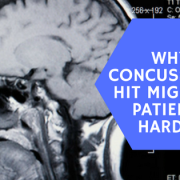 That means if we can can change the way the trigeminal complex is working, then we can have a meaningful effect on the status of someone’s headache disorder. In our Wellington office, we work heavily on correcting the positioning of the top part of the neck. 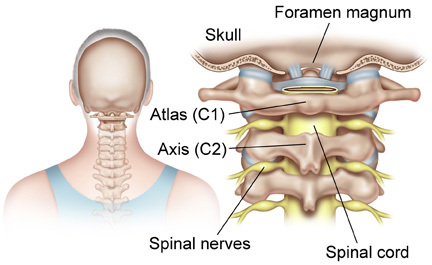 We talked about how C1, C2, and C3 nerves can transmit pain in regards to a headache, but they also transmit valuable information about your posture and positioning in space. 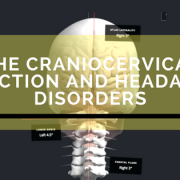 When the head and neck are in a normal position, then this information gets to the brain without a problem and all seems well. 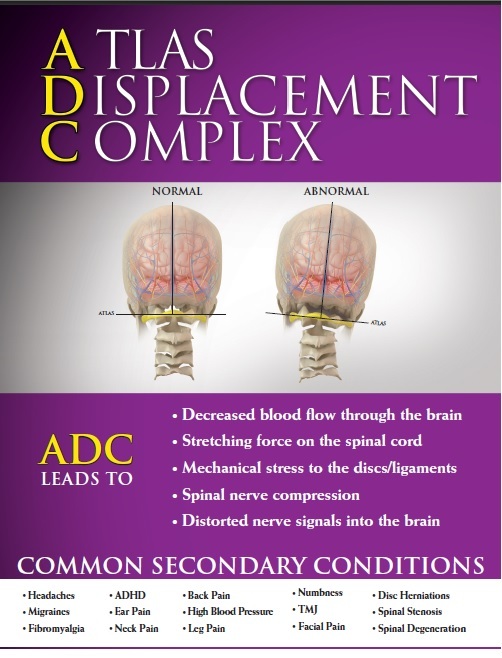 However, a structural shift like Atlas Displacement Complex creates a scrambled signal into the brain and allows pain to be the dominant message. 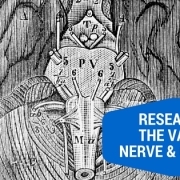 That’s why those nerves at the top of your neck are so important. 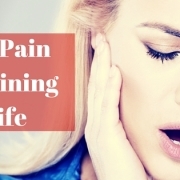 They can dampen pain signals going into the trigeminal complex and stop the headache process from starting! Our success rate with headaches is so high, not because we’re treating each headache we see differently, but we are finding the neurological element that seems to tie them all together. 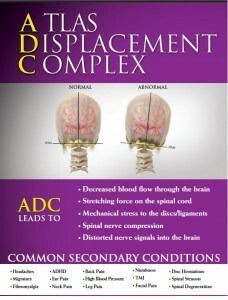 In many cases, it can be as simple as the Atlas Displacement Complex. Could your problems be the result of ADC?